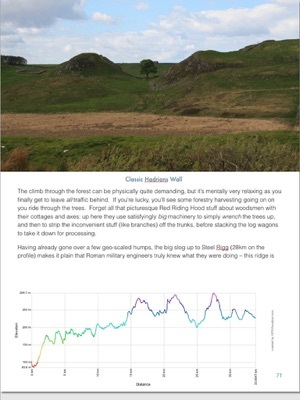 The North Tyne Bike Ride Guide is a detailed, richly illustrated, and amusingly written introduction to hundreds of miles of stunning cycling along the back roads and byways of England’s bike paradise in Northumberland. 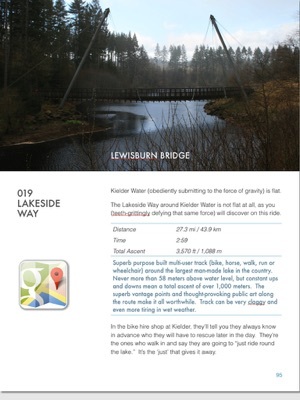 Taking full advantage of the electronic book format, interactive maps are included for each route. The details for every ride include gradient profiles, and each itinerary is fully illustrated with HD photographs. 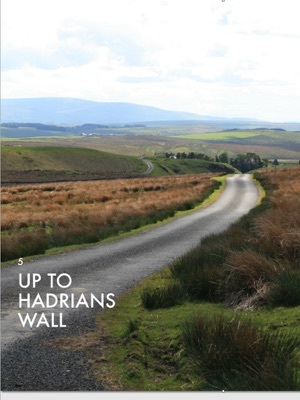 Reflecting the extraordinarily rich history of Hadrians Wall country, there’s plenty of background too, ranging from Chairman Mao’s thoughts on the impact of the Roman Empire, through the unsavoury habits of the Reivers, to St Oswald’s one-nil defeat of the pagans in 633 AD. It also gives invaluable advice, which spans practical details of where to stay and how to get there, through to esoteric, but essential, hints on how to avoid psychopathic sheepdogs and which squirrels it is OK to run over. 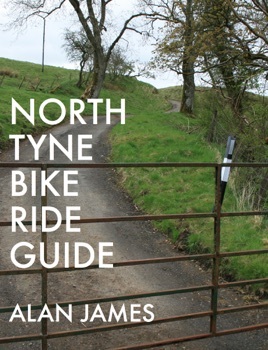 The North Tyne Bike Ride Guide is also a great read when you’re not planning a bike ride. 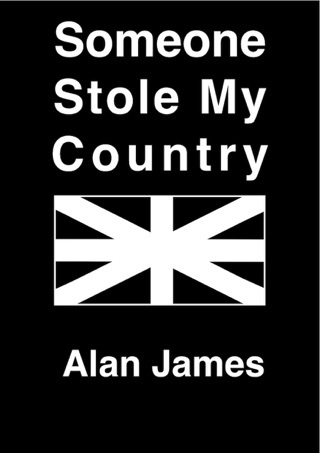 It is written in a mordant style, combining a bike rider’s knowledge of the local hills (downhills celebrated, uphills resented) with humorous insight into the local area, including where that sheepdog lies in wait before ambushing unwary passers-by.